Gilles Roulin, Swiss Downhill racer and Streif Europacup victor 2017 visited us for an interview before this year’s Hahnenkamm Races. He told us about his experiences and career as a racer, and has a message for all young athletes. Gilles, in 2017, you won the Europacup Downhill here on the Streif, what was that victory like for you? It was a lovely feeling for me. The victory came as quite a surprise, because it was my first Europacup triumph and it happened in Kitzbühel, of all places, which makes it all the more special. It gave me a lot of self-confidence and was very significant for the rest of my season. That season, you won the Europacup overall ranking, how has your career developed as a World Cup athlete from there onwards? 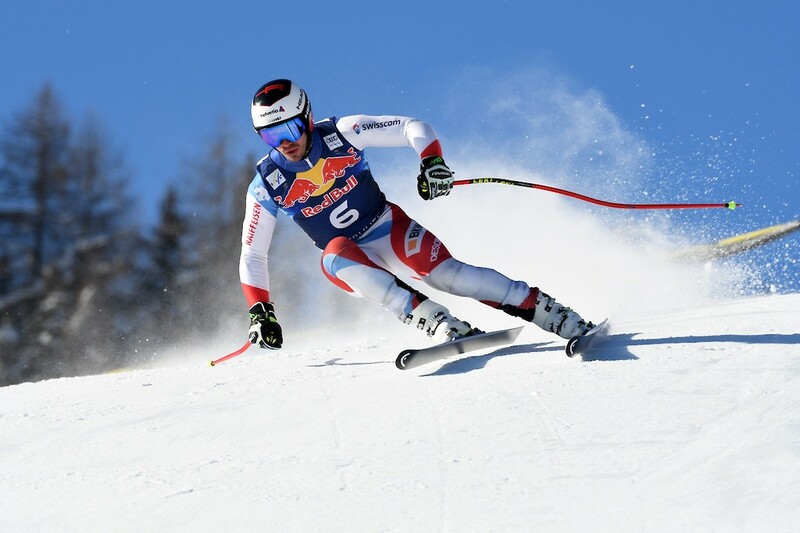 It’s been going really well for me, last season I picked up points in every World Cup race, which I was thrilled about. That’s how I ended up among the top 20 in the Downhill ranking and I’m very proud to have transitioned into the World Cup so smoothly. The 18/19 season began with a few hiccups, but I’ve been able to improve my form steadily and hope that I can continue that progress in Kitzbühel. What’s so special about Kitzbühel for you? And what are your goals for this weekend? Kitzbühel is iconic. The history of these Races is unbelievable. Kitzbühel is a spectacle, and rightly so. As an athlete, I really enjoy being here. The course is a challenge for us racers, but it’s one I’ll gladly rise to. This year I plan to pull out all the stops and improve on last year’s ranking (26). You’re currently establishing yourself in the World Cup, what advice would you give young athletes on the same path? It’s always important to have a goal in mind and to know what you’re working for. Of course, it’s always supposed to be fun, too. The most important thing is to stay healthy, because good health is fundamental for everything else. With a bit of luck and hard work, everything is possible.